Earlier this year I was asked to speak at the Interface Magazine Expo 2013 and share some of the eLearning journey of St Andrew’s College. 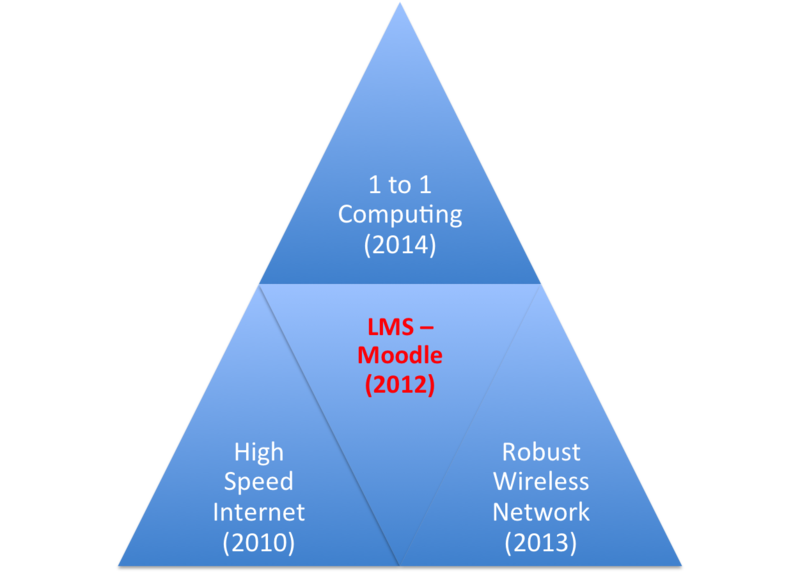 As I prepared my presentation I reflected on some of the essential building blocks that have been put in place over the last few years, from which we can launch into our 1:1 Computing Programme in 2014. The Government has been very public in their aim to install Ultrafast Broadband in Schools, and is currently rolling this out as part of their Schools Network Upgrade Project (SNUP). However, as an Independent School, St Andrew’s has had to largely implement this ourselves, partnering with Snap Internet who deliver the internet via fibre optics from Enable Networks. Not only does this allow our students to ‘surf the net’ at very high speed, accessing rich media content such as Educational TV and video-conferencing with other classrooms, we are also using this fibre backbone to perform off site backups in partnership with another school. Noticeable are the peaks and troughs associated with the end of each lesson and lunch breaks.